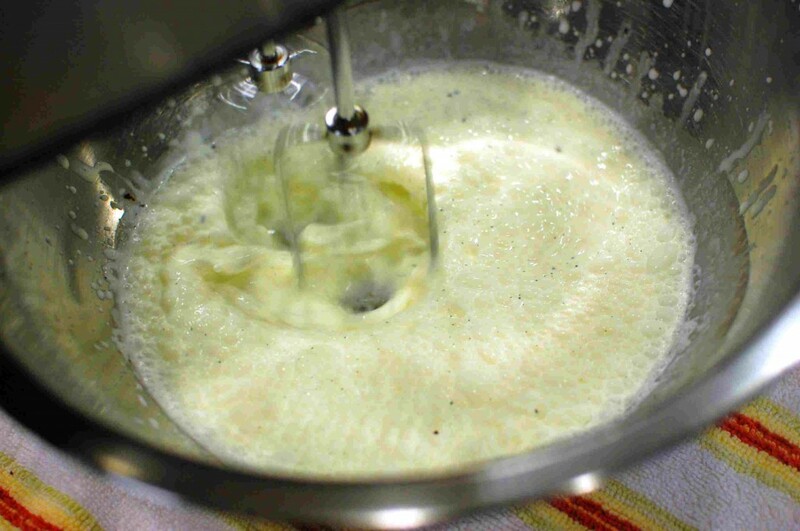 Zabaglione is a really simple dessert to make – but looks very complicated and impressive! It requires few ingredients: egg yolks, sugar, vanilla, cream, and Marsala Wine. I like to punch up the flavor with a pinch of salt, and the addition of vanilla bean pods… but that part is optional. To make this simple custard, you basically just whisk the ingredients in a double boiler, and fold the whipped cream into the cooled custard just before serving. 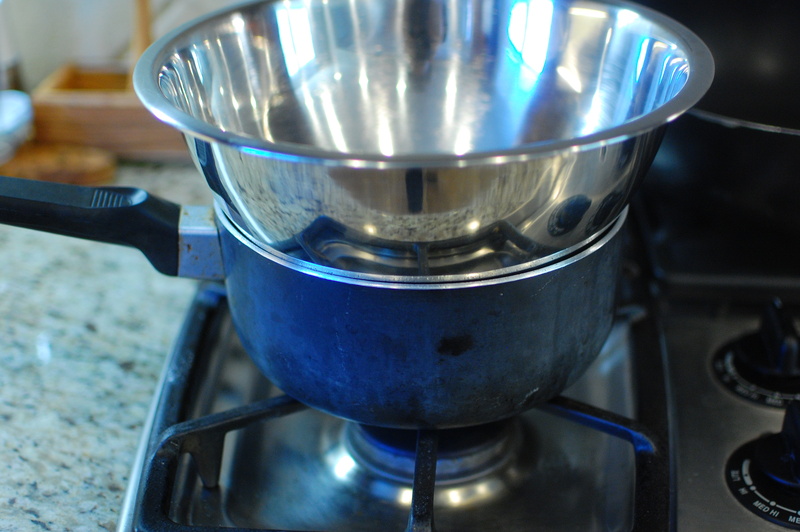 If you don’t have a double boiler (I don’t), it’s easy just to set a metal bowl on top of a pan of simmering water. 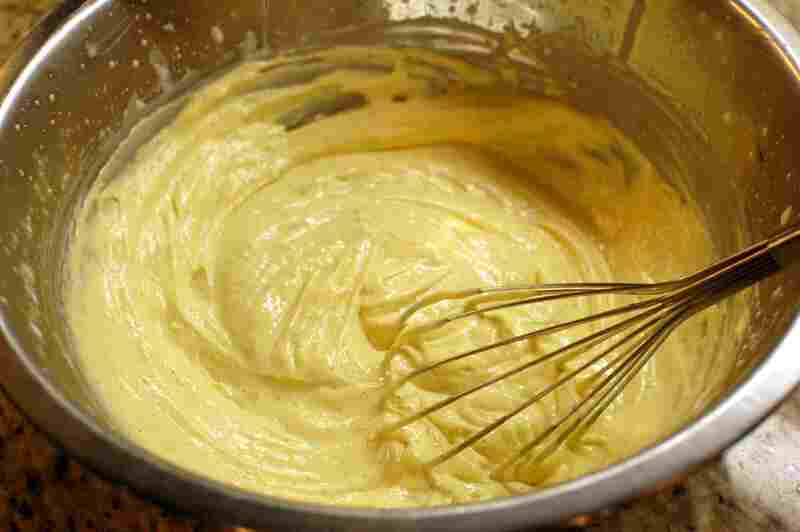 Use a simple hand whisk to mix the yolks as they gently cook to thicken into a custard. 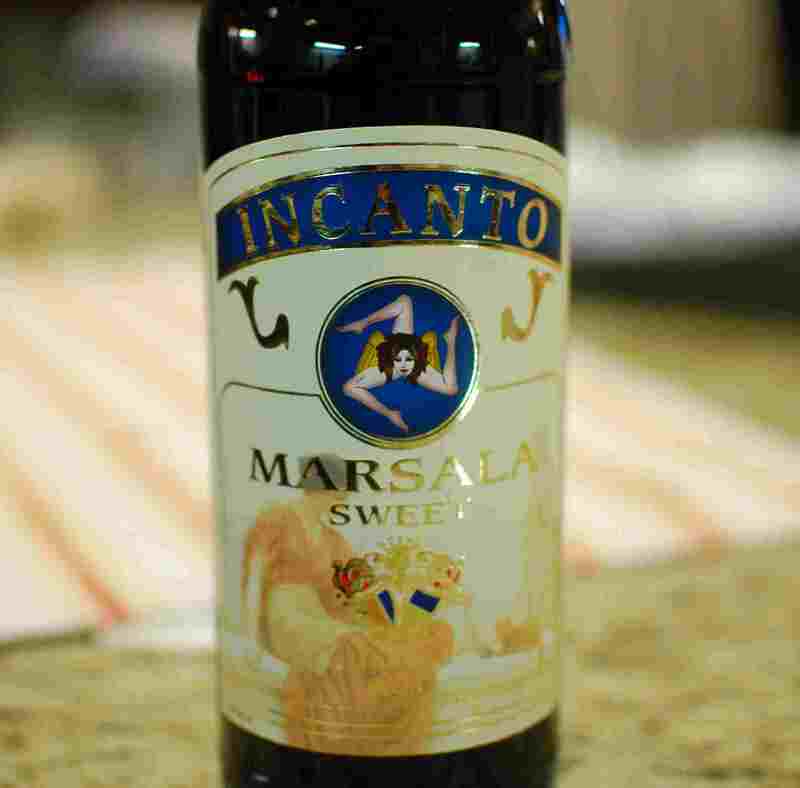 The first time I went looking for Marsala wine, I had a really hard time. The supermarket only carried one brand… so not much choice… and I had to look for a long time to find it. They normally put the Marsala wine next to the Ports, Madeiras and other sweet dessert wines. The last time I went to Trader Joe’s, though, I found a much better quality Marsala wine… but for the same price. So go to Trader Joe’s if you have it, or a specialty store like BevMo. 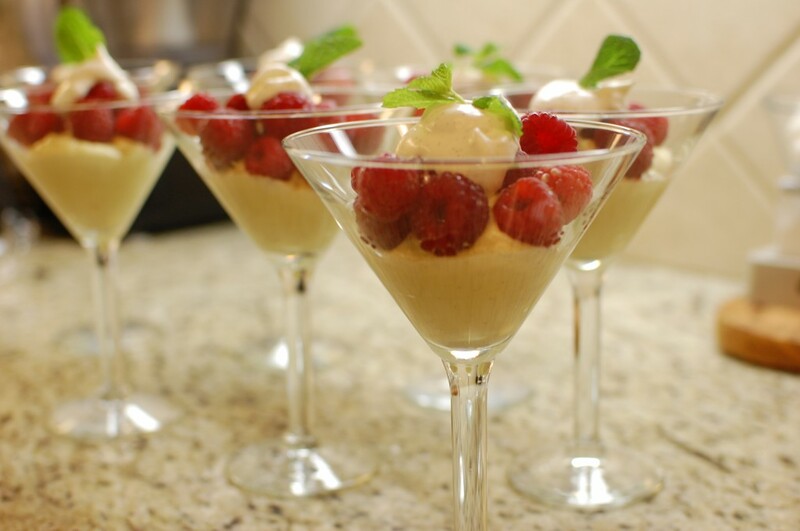 Zabaglione is a very versatile dessert custard! You can serve Zabaglione plain, or with berries or other compatible fruits like sliced peaches or apricots. You can also serve it warm, room temperature, or cold – depending on your preference. Cook it less if you want it to be thin like a sauce, or cook it the full amount (as indicated below) if you would like it to be pudding or mousse like in texture. For a more ‘fancy’ presentation, serve in martini or wine glasses and top with a dollop of whipped cream, garnished with a mint leaf or citrus zest/curl. I buy Marsala Wine at Trader Joe's... but you can usually find at least one brand at the supermarket, wine aisle, near the sweet Ports and Madeiras. 1. Sit a large saucepan half full of water over medium low heat until it reaches a simmer. Place a metal bowl over the simmering water, making sure that the water does not touch the bottom of the bowl. 2. 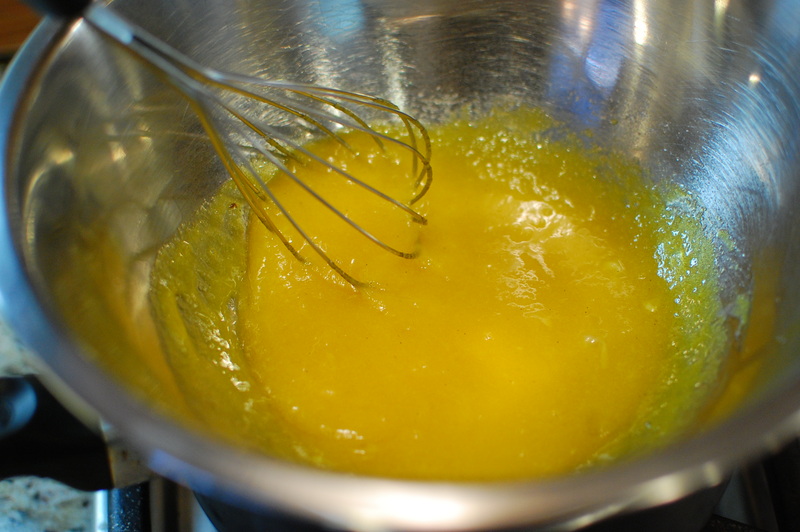 Add the egg yolks, 1/3 c. sugar, salt, and vanilla extract to the bowl and whisk to combine. 3. 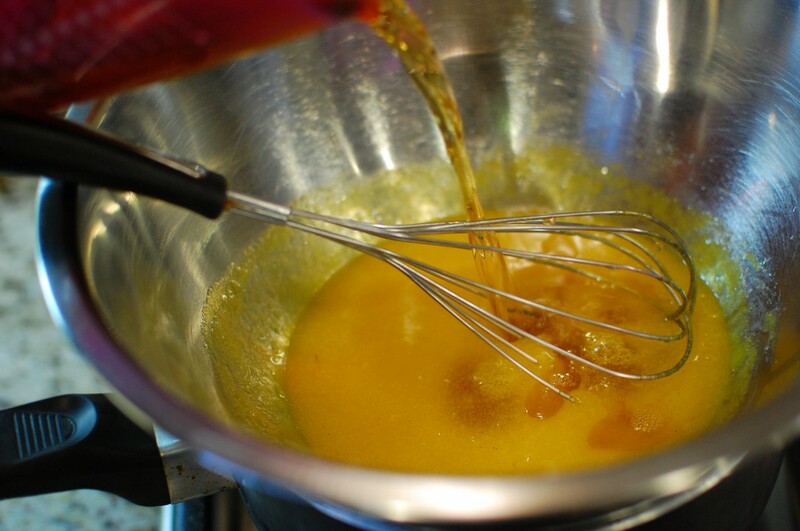 Slowly add the Marsala wine into the egg yolk mixture, whisking as you go. 4. Continue whisking the mixture for about 8-10 minutes, as the mixture thickens, increases in volume, and becomes more pale in color. (See how the next 2 pictures are more and more pale compared to the photo immediately above?) 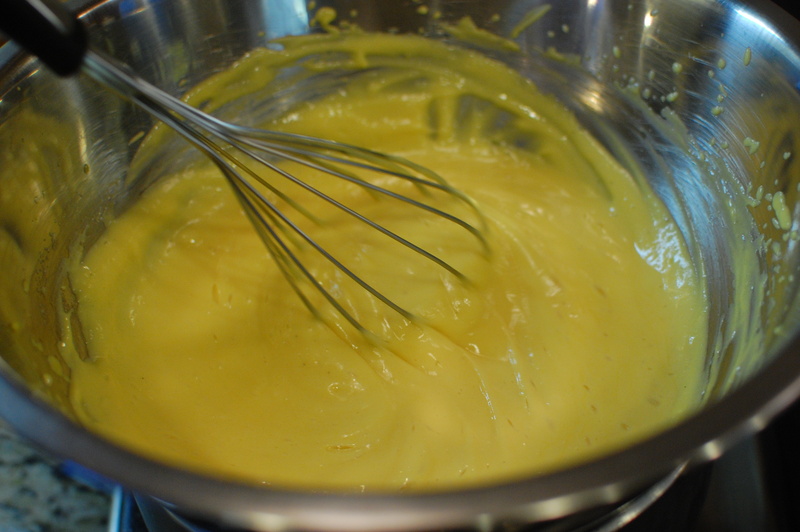 The longer you cook the custard, the thicker the consistency will be. 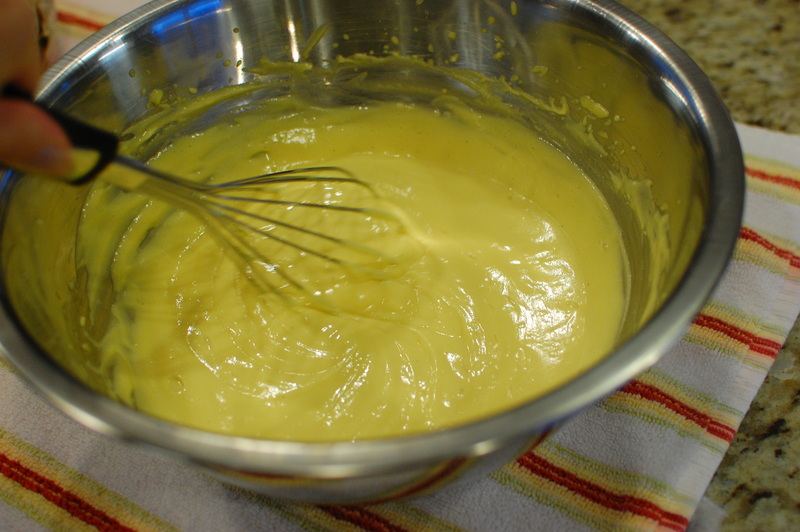 Leave the custard on the thin side if you will be using it as a sauce, cook longer if you want it to be a dessert, closer to the texture of a mousse. 5. Remove from the heat, and continue whisking for 2 more minutes. Set aside to cool at room temperature. 6. Beat the heavy whipping cream, 3 T. sugar, and scraped insides of 1 vanilla bean pod in a clean cold bowl. 7. Fold the whipped cream into the custard and serve warm or room temperature. You can also refrigerate the custard before folding it into the whipped cream if you would like to serve the custard cold. 8. 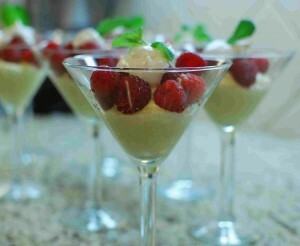 Ladle the zabaglione into individual cups or dishes, and top with berries and more whipped cream. I’m Italian and i’ve a blog too (http://melacannella.blogspot.it/) ! I usually make zabaglione during winter…have you ever tried it with some chocolate cake? It’s perfect! In Intaly we eat it also with PANETTONE or PANDORO(which are christmas desserts). It’s in italian, but you can translate it with google translate!